A local business is nothing without the surrounding community. 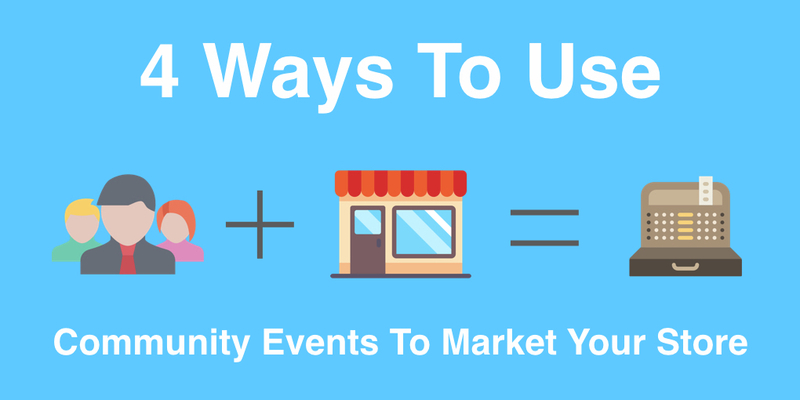 We have compiled 4 of the most popular methods to connect your business to the local community in a way that will increase brand awareness. It is most important that these events somehow relate to the interests of your customers. Communities support the education and development of young people. Whether it is through physical or academic events, schools and educational organizations typically need funding to support the success of the student's development through these programs. This provides local businesses with a great opportunity to associate your brand with these efforts. Sponsoring these causes will show that your business is committed to supporting the community's future. As such, the children and parents involved in this event will recognize your support and remember it when making future buying decisions. Although sponsorship puts your brand in front of the community in a positive light, volunteering for a good cause encourages engagement between your employees and the community. This allows the community to get to know your staff and become friends with them, which may make the difference for shoppers to choose your store over your competition. People go where they feel welcome and comfortable. Your employees become brand ambassadors for your business. This also creates cross-marketing opportunities for your business to promote the volunteer event to your customers. This is a straightforward and effective way to put your product on display and show your support to a specific cause. You can also increase your impact with these events by offering to hold the silent auction at your physical location. Hosting events takes lots of time and planning, and is also the hardest community event to avoid being viewed as completely promotional. It can be something as simple as a soccer tournament, family game days, food truck days, fun runs, concerts, or as complex as a marathon. The possibilities and impact with this type of event are endless.